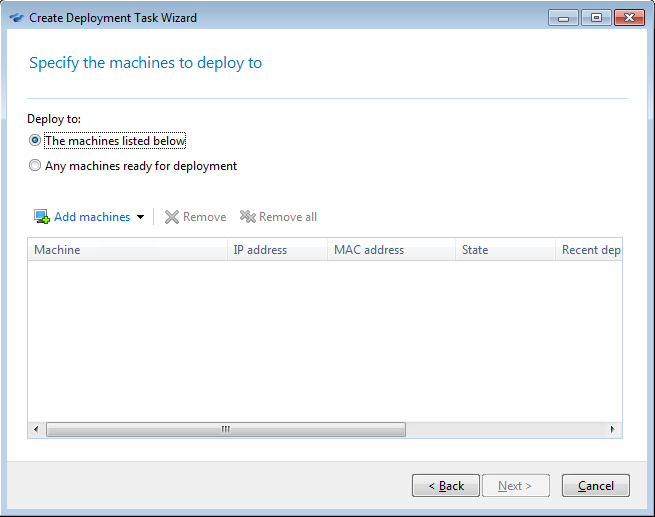 Deployment to a specified list of machines. 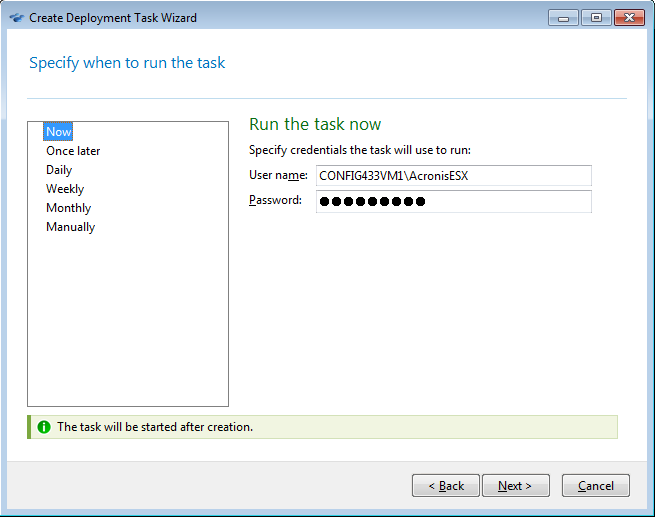 Acronis Snap Deploy 5 will use the Wake-on-LAN functionality to wake up the machines that are turned off and thus are not ready for deployment. 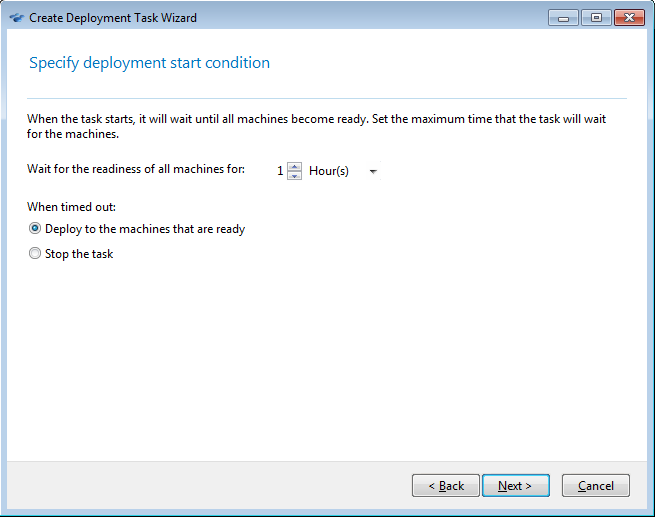 Deployment as soon as a specified number of any machines become ready for deployment. You (or users in your organization) will need to make the machines ready. 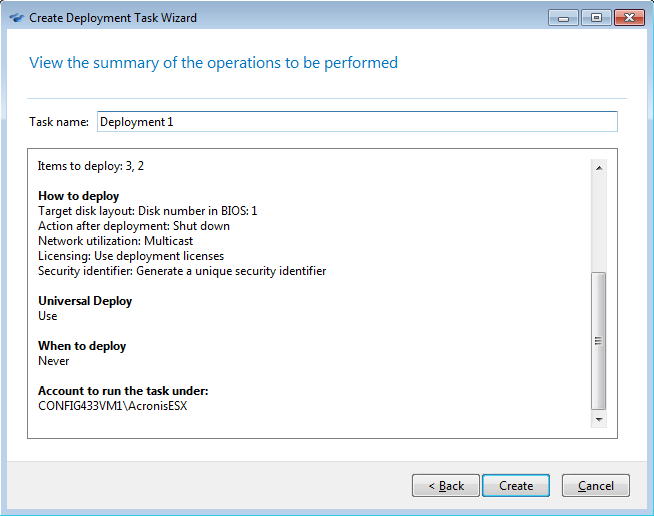 Or you can run any deployment task manually from the Deployment tasks view.